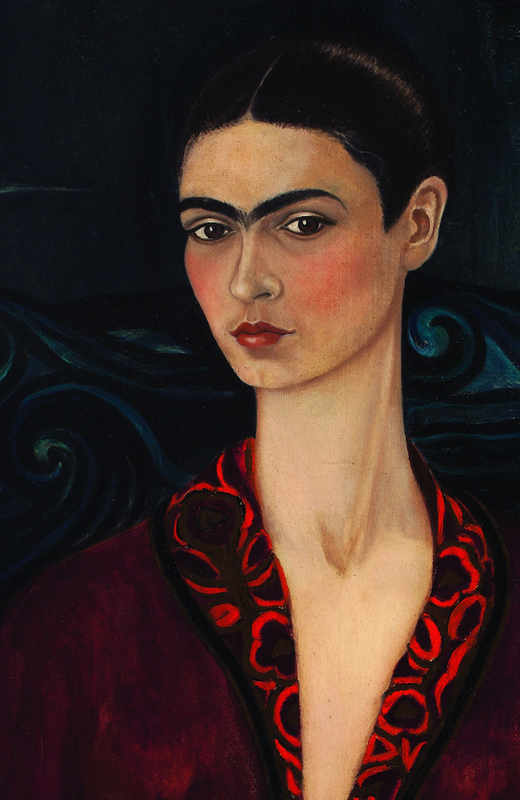 Frida Kahlo's first self-portrait at 19, when she still knew little of European art, shows remarkable knowledge. Though not a masterpiece it is, nevertheless, indicative of her future status as a significant artist. For instance, in picturing her hand with the thumb awkwardly separated from the fingers, she must have known or sensed that such a hand almost always symbolizes the artist's palette-hand. Painters know this because their thumb is so commonly stretched through the hole of a palette. In addition, the invisibility of her other hand makes sense as well. It is her active hand, the one that paints the canvas. 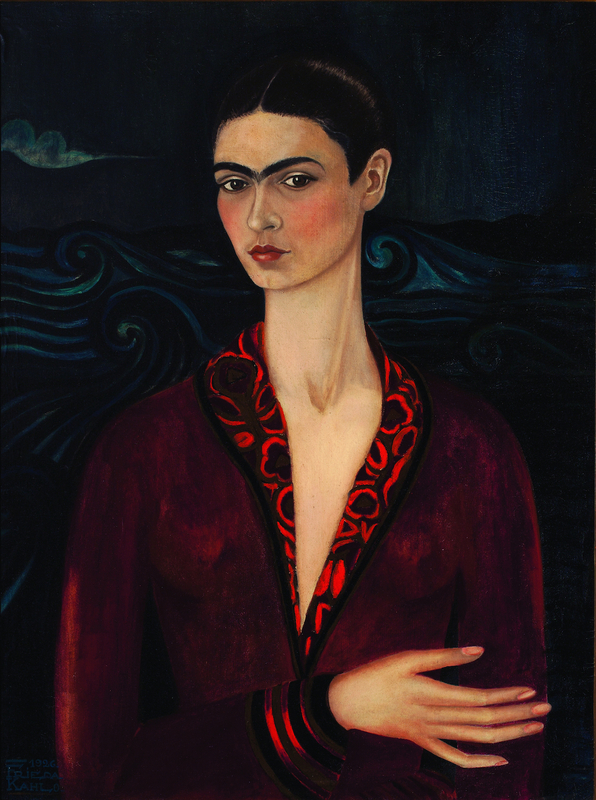 Frida Kahlo, Self-portrait in a Velvet Dress (1926) Oil on canvas. Private Collection, Mexico. 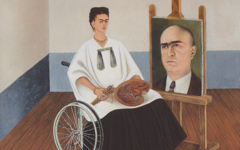 On the back of the canvas Kahlo wrote in German "Heute ist immer noch" meaning "Today is always". Spiritual traditions the world over pronounce that the past is gone and can never be changed and that the future, however much we worry about it, hardly ever turns out the way we expect. So, to make any difference in the world and change anything - even our own state-of-mind - requires sharply-focused attention on one moment only. The present. Or as some say, the eternal present. "Today is always" conveys that meaning, a concept that only makes sense within a tradition that focuses inwards on the self. Using herself as a model then was not a matter of convenience, as some have argued, but entirely in keeping with art's unchanging principle and the perennial opinion of the wise. 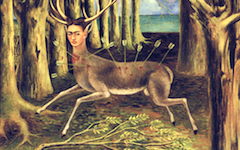 Everyone agrees that Frida Kahlo painted herself.....but within which tradition? Psychological and surrealist or esoteric? Original Publication Date on EPPH: 14 Apr 2014. © Simon Abrahams. Articles on this site are the copyright of Simon Abrahams. To use copyrighted material in print or other media for purposes beyond 'fair use', you must obtain permission from the copyright owner. Websites may link to this page without permission (please do) but may not reproduce the material on their own site without crediting Simon Abrahams and EPPH.